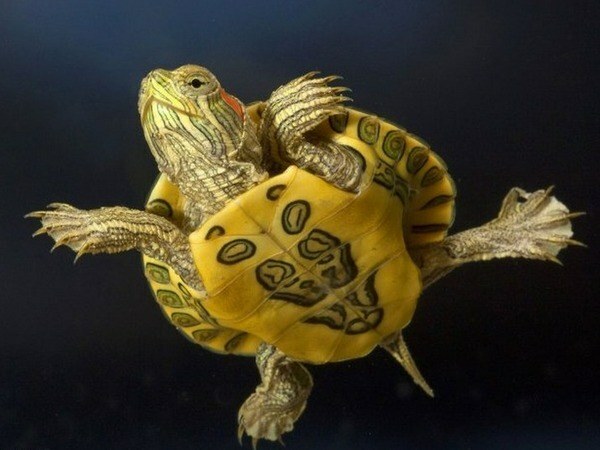 Trachemys – American freshwater turtles, which is very popular among fans of reptiles in the world. Under proper management these animals can live up to 60 years. - driftwood, or plastic shelves to create area of land. Get an aquarium. Adult turtle needed a reservoir with a volume of 150-200 litres. 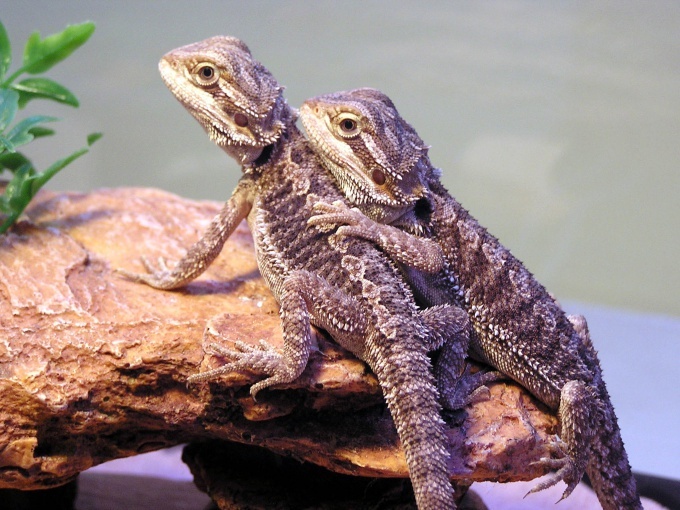 If you want to have a couple of reptiles, aquarium size should be increased two times. Be sure to take care of the water heating system. 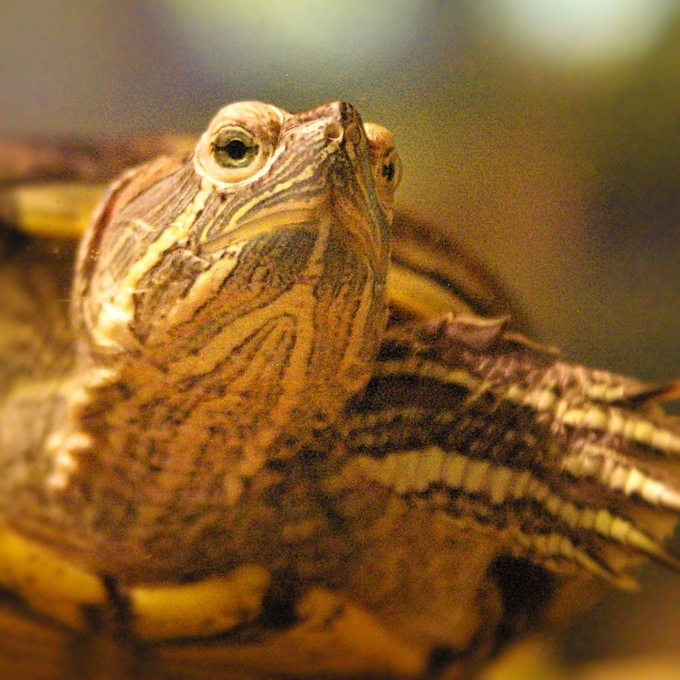 Comfortable temperature for red turtles is 25-28° C. it is Impossible to prevent the cooling water below 20° C.
Pond slider turtles need to regularly bask on land. It supports their immune system. Therefore, 25-30% of the surface of the aquarium should be reserved for dry land. Many aquarists have driftwood and other decorative elements so that they protrude above the water. You can also place one of the walls of the tank a special plastic shelf that simulates the shore. It is unnecessary to cover it with pebbles or fine gravel, because the turtles will ingest this material, which can cause bowel obstruction. Also you should not use pebbles and gravel in the design of the bottom. On a makeshift land place the ultraviolet light source to create a replacement for natural sunlight. Take care of cleanliness in the aquarium. 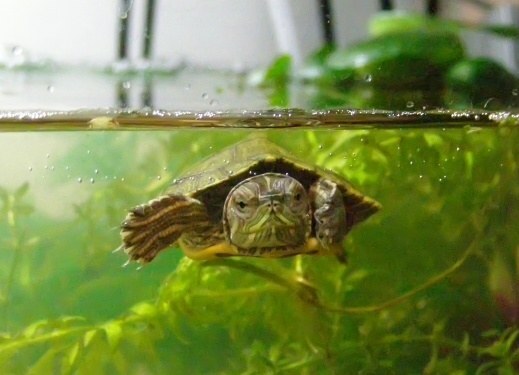 In dirty water active breed pathogens that can cause various diseases in turtles. The water in the aquarium should менять1-2 times a week. 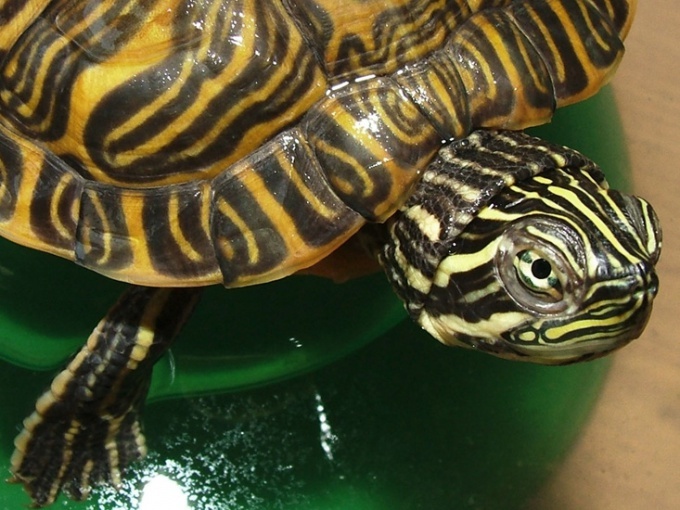 To facilitate the care of slider turtles, can be installed electric filter pump. Decorate the aquarium to your taste. 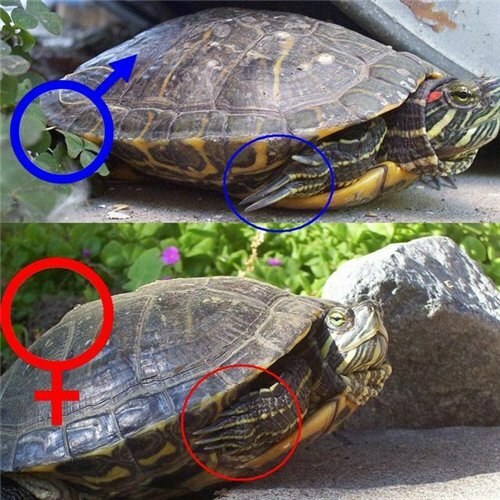 Please note that all decorative items and plants should be safe for turtles turtles. Discard the plastic seaweed. The turtle can bite off and swallow a piece of plastic, which in turn may lead to blockage of the intestine. Live plants must be non poisonous. Do not place the aquarium rocks with sharp edges so that the turtle didn't get hurt.